NovaSure (Alternative Hysterectomy) minimally invasive procedure. You don’t need to have a costly outdated procedure at a Hospital. 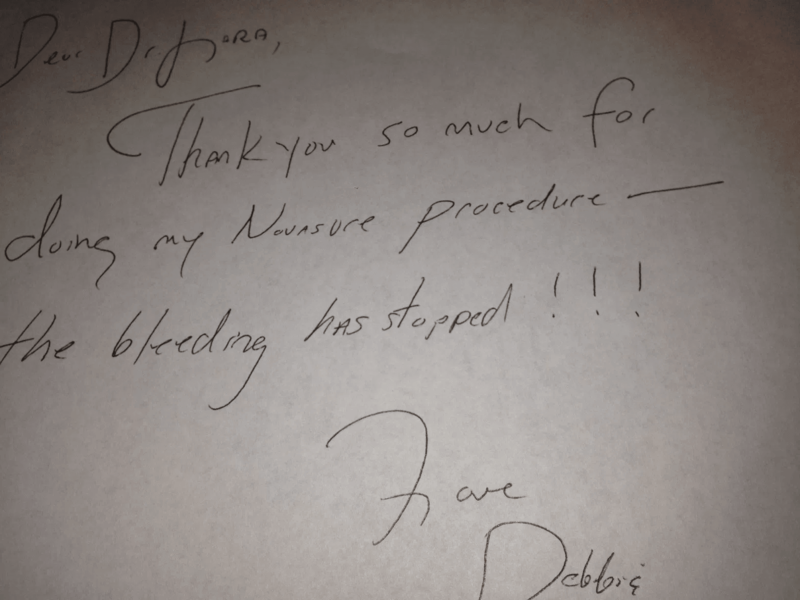 Dr. Adrienne Lara uses NovaSure to stop the bleeding and restore life. 70% of Endometrial Ablation procedures performed are NovaSure. Would your quality of life improve if you could decrease or potentially eliminate your heavy periods? Do your heavy periods affect your social, athletic or sexual activities or cause you to miss work? Do you change protection frequently or carry large quantities of feminine products and/or a change of clothes? Do your heavy periods cause anxiety, PMS, or pain?